John Connolly, a licensed Site Safety Manager, has over 30 years of experience in the construction industry, 19 years of which have been specifically dedicated to safety management. Prior to joining TSC, Mr. Connolly was Director of Safety for Atlantic-Heydt Hoist & Scaffolding Corp. For the past three years, John has held the position of Director of Field Operations for TSC, TSCTA’s parent company. In this role, he is responsible for the management and direct supervision and coordination of approximately 120 safety professionals working on major construction projects throughout the NYC area. 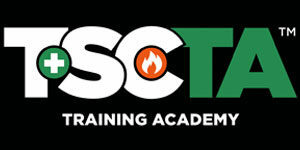 John Connolly also regularly contributes to TSCTA, providing instruction in their approved NYC DOB Scaffold Safety Training Programs, Site Safety Manager Courses, and OSHA 10/30-Hour Construction Safety Training programs. John has an uncanny ability to learn the names of every student in his 2 HR seminar or a multi day program. He’s as well versed in random movie and song trivia as he is with city and federal code.